Have you performed your breast self-exam this month? Frequent breast exams will help you identify any changes in breast tissue or skin. However, 8 out of 10 lumps found in the breast are benign. Most lumps found in breasts are cysts or fibroadenomas, which are benign tumors found in women in their 20’s and 30’s. Adult women of all ages are encouraged to perform these self tests. Although breast cancer can’t be prevented, early detection is key and can save a life. Mammograms and ultrasounds can also detect lumps that aren’t palpable, which is why having yearly mammograms are crucial. 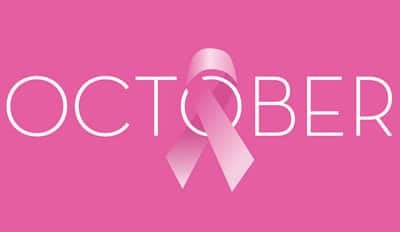 October is recognized nationwide as Breast Cancer Awareness Month, to educate and raise awareness about the disease. ‘Making Strides Against Breast Cancer,’ are events held to raise money to find a cure for breast cancer or a participant. Avon 39, the two day, 39 mile walk, brings men and women together to fight and end breast cancer. Each participant of the walk fundraises a minimum of $1,800 which helps women and men get the breast cancer health care they need. These programs provide everything from language, food and transportation assistance, to financial help. This resonates deep with my family because we’ve suffered losses due to the disease. My paternal great-grandmother and her daughter, my grand aunt were both diagnosed with aggressive forms of Stage 4 cancer, and lost their battles with the disease shortly after being diagnosed. Despite the heartache, my family and I knew that if they were diagnosed sooner, their chances of beating the disease would’ve been much stronger. Make sure to do monthly self-exams and yearly mammograms (if over40), because early detection can save a life.